Rockabilly USA Car & Bike fest is a festival like to other! A sock hop kick off party complete with dance off with a $100 cash prize for the best dance! A kids zone with award for best dressed kid and a pedal car competition. Fun for the whole family and the most amazing part of the day is that we will be supporting and raising money for our Vets. 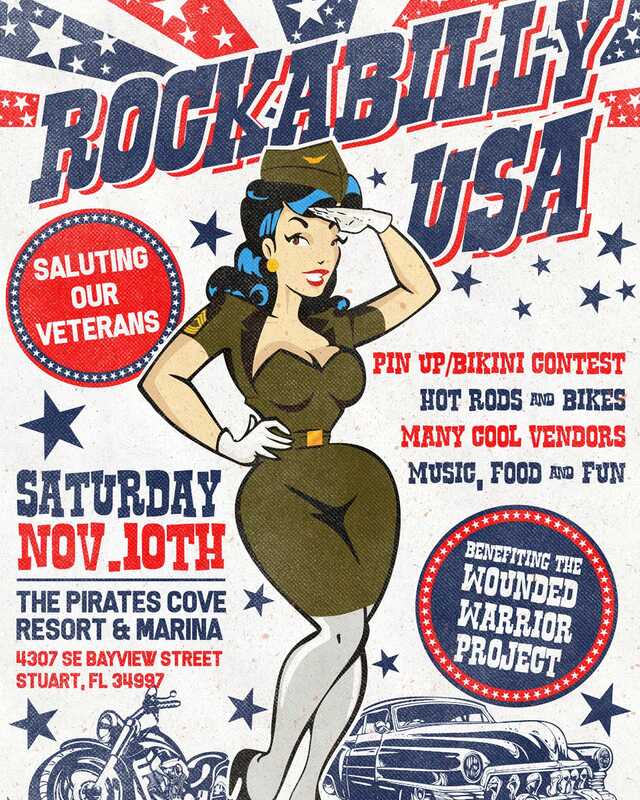 Rockabilly USA will be making a donation to the Wounded Warrior Project. So lets celebrate everything that great about America @ Rockabilly USA !